It's not the swarm of 4-star prospects that we had last weekend, but it just feels right to wake up today and hear the news that Brady Hoke has landed his 13th verbal commitment to the class of the 2013. Kugler hails from Wexford, PA. There doesn't seem to be any discrepancy on the recruiting sites of his overall talent, he's good and I think everyone can agree on that. He gets 4-stars all around – even by Scout, which doesn't have much of their ratings out yet. 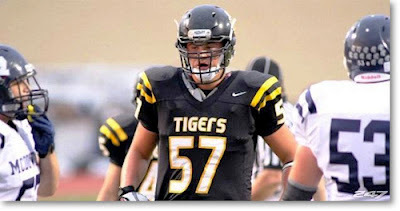 Rivals on the other hand does, and he's rated the #54 overall player in the country for 2013. High praise. I could get into how great Kugler is and how much I expect him to contribute, but that's the obvious Michigan blog hyperbole (he's very good and will contribute). Instead, let's just take a moment to sit back and look at this amazing job done so far by the Michigan coaches. They have assembled the best – by far and away – collection of talent for 2013 in the country. It's way early, and other schools will catch up, but at the moment, no school is even close to the level of incoming talent Michigan has already. The recruiting sites love the SEC, along with everyone else, so I fully expect two or three to dethrone Michigan atop the leader board before it's all said and done. 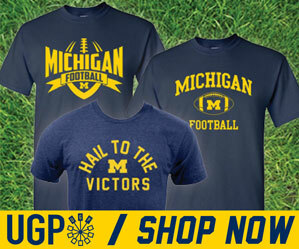 But as of right now, Michigan has five (5!) 4-star offensive linemen verbally committed, one potential 5-star quarterback, two TE's, two DB's, a defensive end, maybe two if you consider Shallmen a DE which we do. I mean, eleven of these guys are in the top 200 according to Rivals. What are we going to do all summer? Arizona, Boise State, Cal, Cincy, Colorado, Florida, Florida State, Iowa, Maryland, Miami (FL), Sparty, NC, Notre Dame, Penn State, Pitt, Purdue, South Carolina, Stanford, Syracuse, Tennessee, UTEP, VT, Washington, West Virginia.